• Very Versatile Process Equipment For Uniform And Efficient Drying Of Products. 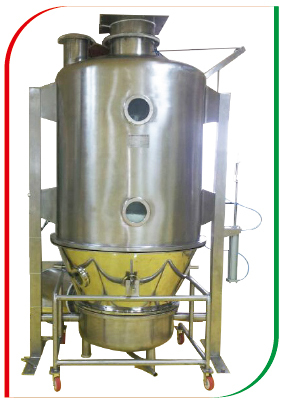 • Capacity Available From 5 Kgs to 500 Kgs. • CGMP Model With Documentation (IQ, DQ, PQ, OQ) - As Option. Heating Approximately Steam 9 18 36 54 Electrical Heating not recommended.